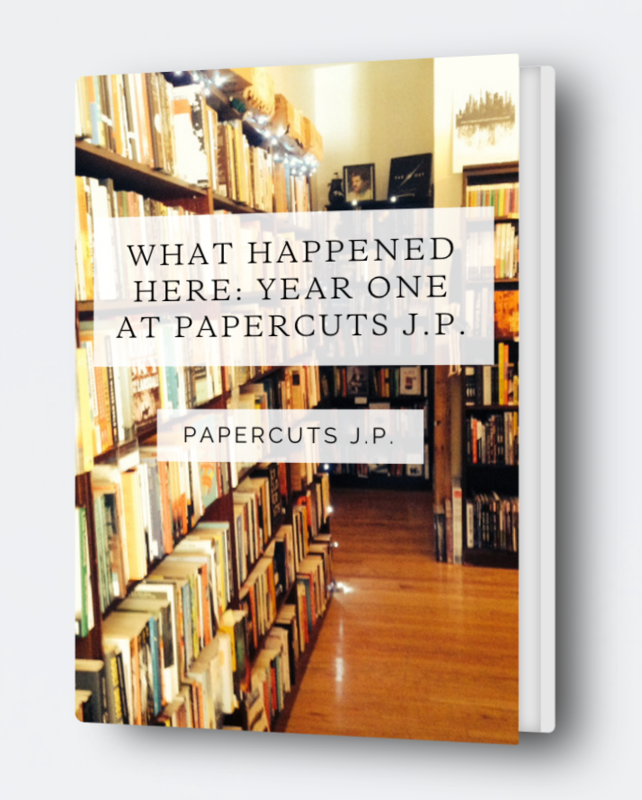 In a creative use of the platform, crowdfunding publishing site Inkshares has recruited indie bookstores to publish original anthologies with the site. 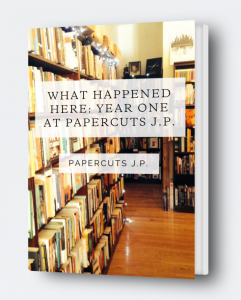 Papercuts J.P, a 500-square-foot bookstore in Boston, is celebrating their one-year anniversary by doing something a little different. They are using crowdsourced publisher Inkshares to publish an anthology of local authors who have visited the bookstore, a literary work from store owner Kate Layte, and even staff. But What Happened Here, has to reach 1,000 preordered copies through Inkshares to go into production. All of the authors that visited the store in the first year of business were invited to be a part of the anthology: local authors such as Christopher Irvin, author of Burn Cards and Paul Tremblay, president of the Shirley Jackson Awards and author of a Head Full of Ghosts, as well as non-locals Chris Hedges, the New York Times bestselling author, and Abigail Thomas, author of A Three Dog Life. One of Layte’s motivations for the anthology was that she wanted to bring more of what authors have to offer to the community. She described events or conversations with authors as leaving her “with a sense of loss” and always “wishing there was something more.” And then, she “woke up one day this summer with the idea to create a collection by the authors who had visited the store.” One of her friends sent her a link describing Inkshares and she “knew with the enthusiastic help of Katie we could take a chance and see if this is something people would support.” And support they have. The local and online community have “been supportive and excited” about the project and the authors have been equally enthusiastic. 134 out of the 1,000 prerequisite have already been preordered. Independent bookstores partnering with Inkshares to publish books is not new. Ada’s Technical Books in Seattle is the first independent bookstore that partnered with Inkshares. In an article by Capital Hill Seattle, Ada’s publishing criteria is described as anything that “strikes Ada’s fancy.” And once it does “the shop will work the author to release it under the Ada’s collection. The idea is to foster a stronger connection between writers, bookstores, and local communities.” Shortly after Ada’s partnership, the Seattle Mystery Bookshop and New Orleans bookstore Tubby and Coo’s came onboard on board and are now developing their own anthologies.